You’ve probably come across various subdomains throughout your time spent searching online. But, maybe you’ve always wondered why companies use them, and if you can see any benefits from using them in your own website? A subdomain is a third-level domain that’s part of the original top-level domain. Think of something like “register.hostgator.com”, compared to the original top-level, which is “hostgator.com”. Below we dive into what subdomains are, why they would be used, and how they can affect your current SEO strategy. Why Would You Use a Subdomain? 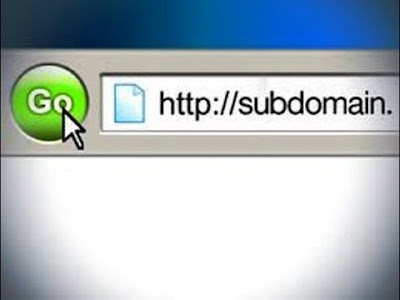 To make it simple, a subdomain is a part of the main website. But, it’s considered a separate entity by the search engines. Subdomains can be used for organizational purposes, or even for an SEO boost. Sometimes you don’t want certain pages of your site indexed with the rest of them. We can’t predict your unique circumstance, but some of the most common explanations are below. Some companies like to keep their blog separate for certain reasons. This can either be because the blog has a different design than the rest of the site, or they want to create a distinction between that content and the rest of their site. If you’re building out a blog that’s a large content powerhouse, then you might want the flexibility that a subdomain will give you. Some companies even decide to use a subdomain for other practical purposes, such as a dedicated help desk or forum. HostGator’s support page follows this approach. Often, this type of website needs to utilize a different kind of platform or software, so it makes sense to utilize a subdomain. Sometimes your website caters to different regions of the US, or even spans out into global sectors. Instead of having a single website with a very confusing website architecture, you can create sub-domains for each specific region. The first example that comes to mind is Craigslist. Each region has it’s own dedicated sub-domain. Without having their site broken down this way it would be nearly impossible to use. Your line of products and services may be so diverse that you might want to separate them out into different niches. This can help you to focus your efforts and provide your visitors with a more relevant browsing experience. This means you can create unique authority for each of the subdomains you’re using. Subdomains can actually be beneficial to your SEO efforts, as you’ll see below. Sometimes it just doesn’t make sense to fit certain keywords into your main URL. But, with subdomains you have another chance to insert hard-to-rank keywords into your domain. Which will never be a bad thing for your rankings. If you have a large and confusing site that’s hard to navigate, you’re going to provide a poor user experience. A poor user experience means your users will spend less time on your site, which can lead to lower rankings. Building large-scale authority can be a lot of work. However, ranking in niche markets can take a lot less time and energy. By ranking and building authority and smaller markets this authority you build will help to reinforce the authority of the main domain. We hope that you now have a better understanding of subdomains and the role they can play throughout your site’s organization and your existing SEO strategy.